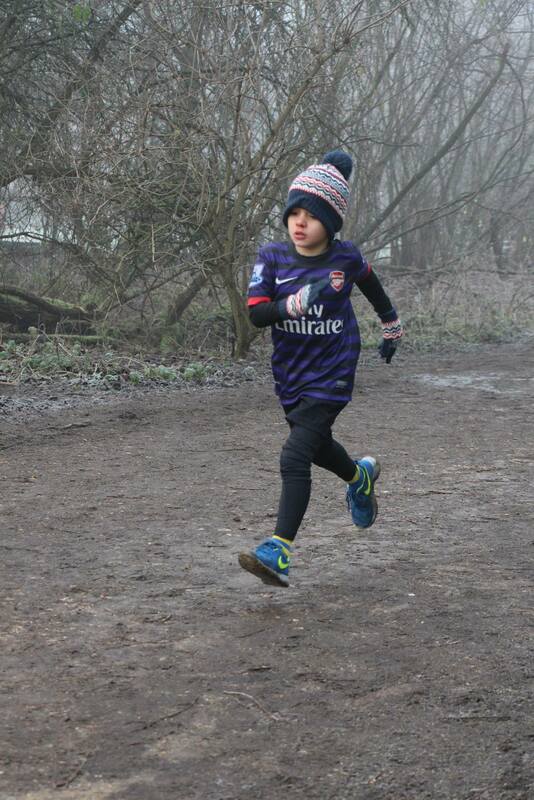 Cambridge junior parkrun this morning and the temperature was -4c. 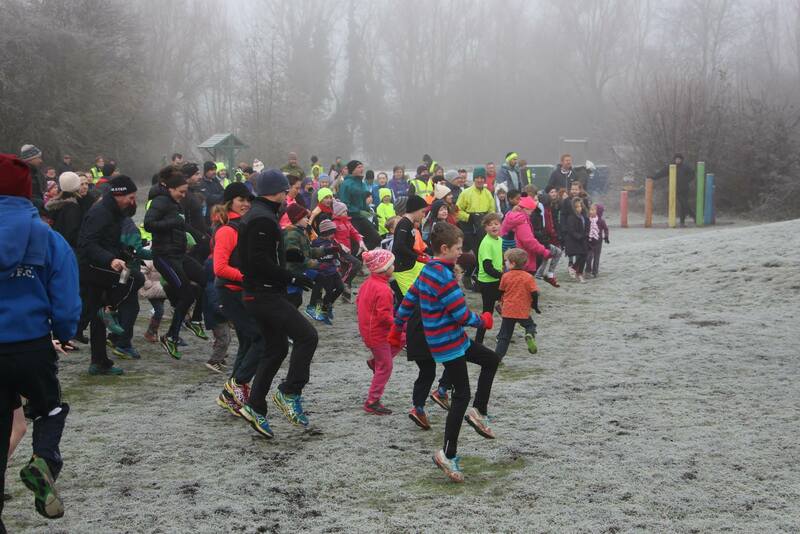 79 children between the ages of 4-14 turned up and amazingly, no one came a cropper, despite the icy puddles. Here they are doing a group warm up. I went for a five mile run in the afternoon, around 3 pm, when it was slightly warmer at -1c. The light was already failing but in my hi viz jacket and matching beanie I looked like a Sun God (Cambridge district) scorching a trail through the frozen Fen wasteland. I’m fairly confident running on slippery surfaces and I ran a little below my usual pace so the run was enjoyable. Unfortunately I’ve got a wrong shaped head and my beanie rides up. When I returned home, I looked less like a Sun God and more like a giant pixie with a pointy hat. No matter, the glory is mine. Another Janathon day ticked off. Remember, people of the world, sitting is the new smoking. Cambridge junior parkrun photos by Chris Gent. This entry was posted in Exercise and heart disease, extreme weather, Heart disease, Janathon, junior parkrun, miserable weather, parkrun, pictures of junior parkrun, Running, running with heart disease and tagged exercise, heart disorder, Janathon, junior parkrun, parkrun, running, volunteering at parkrun. Bookmark the permalink.